When reading this piece, essentially a real estate marketing ad for Beacon, we can ask what we mean by certain terms such as growth, invest, sustainable, density, and gentrification. And rather than accept the now barely hidden attempt by the mass media to try to portray our flailing, failing economy in a positive light, we can examine what is actually happening in the world. In today’s post, we’ll look at a few of the quotes from Tim Dexter, Beacon’s building inspector. Tomorrow we will examine some of the language used by Mayor Randy Casale. Wigwam has previously covered many of these issues, and has pointed to further reading, so let’s just say that, of all of our institutional tools—the medical system, the educational system, our transportation system—the house of cards known as our financial system, no longer tethered to anything resembling an actual economy, is the most fragile and first in line to go BOOM. Whether the straw that breaks the camel’s back is the Fed hike tomorrow (if in fact they go through with it) or the continuing pressure from any of the other major boondoggles making up the economy doesn’t much matter. But don’t make the mistake of thinking that Beacon is in some kind of protective bubble (everybody wants to go to Beacon) and will escape the most severe damage. Even the fallout from plunging oil prices will have repercussions here. For example, one of the several serious affects the drop in oil prices has on the economy is that the majority of new jobs added during the U.S. economic “recovery” happen to be in two States, Texas and North Dakota. This is where the Eagle Ford and Bakken oil fields are located. Unfortunately, almost all the companies involved in that bonanza could not even stay in the black when oil was cruising along at over $100 a barrel, because all of that oil is stuck in rock and needs to be fracked out, a very expensive procedure. Yesterday the price of oil dipped below $35 a barrel. Now many of these companies are going bankrupt, while many more have already turned into “zombie companies”—that is, they can still (barely) pay the interest on current debt levels, but cannot take out any more loans to drill new wells, a necessity in the fracked oil market, since that type of well, in addition to being more expensive to drill, goes bust much more quickly than conventional wells. If you are one of the oil workers who got laid off, or the thousands of workers with corollary jobs, it doesn’t matter how low gas prices go, you are going to have a hard time filling the tank. The effect the shock waves in employment and the debt defaults triggered by the oil companies will have on the national economy will not be passing us by. This report, glossed over in The Paper, is bleak. But it’s to be expected, as the U.S. has seen essentially zero wage growth for the past 45 years, the majority of current 25-year-olds still live at home, and the economy is teetering on the edge of a cliff, poised for free-fall. Since the residents of The City of Beacon, Dutchess, Orange, Putnam, and Rockland Counties can’t afford to buy or rent in Beacon, the folks who will supposedly be moving into all these wonderful new units will be coming from elsewhere, as Mr. Dexter points out. Tomorrow we’ll look at gentrification, sustainability, growth, and what investing in our community really means. The problem is so much of what is being build is luxury, not market or middle income housing. Luxury is more profitable and thus happens at a faster pace, than middle class housing. If you can’t build so much luxury, developers will think twice because they want to make a quick buck rather than live here and collect rent. After watching what happened on the Main Street across from the PO, you have to wonder if some of this is friends from kindergarden, brothers, cousins etc making the money getting the approvals. And yes, parking is a gigantic issue that will only increase as an issue. One of my concerns with the new developments is the the ability of our infrastructure to support it, specifically the available water supply. After a very dry summer we are at a stage ll drought alert. While the summer was dry the previous winter and spring were not. In reading the comprehensive plan from 2007 it states that the water supply can support a population of 17,800. We are now at a population of roughly 15,500. The 500 new units in the pipeline would increase the population by at least 1000 , and add to that tourists. If at current population levels one summer puts us at stage ll what happens with that many additional people? If we need to conserve, we need to conserve but, to to put ourselves in that position so developers can profit is galling . I would love to see an article about how the state of Beacon’s public schools affects our real estate values. Neighboring towns like Cold Spring (whose Haldane school district is very strong) don’t seem to be facing such major fluctuations in home values as Beacon. Perhaps a focus on improving our schools can make a difference in our long term economic health as a city? I believe the schools should be improved in order to better teach our children how to think for themselves. Real Estate as an “investment”, or worse, as an indicator of economic health, is, like gentrification, a last-gasp attempt to fix something that is at this point not fixable. In any case, I doubt the current state of our schools is creating major fluctuations in home values,” though I don’t know what you mean by that phrase. Values as plotted over x period of time? Over a range of current home prices? What is “major” and how are you measuring it against home prices in Cold Spring? The real news is that, even at current prices, most people living in Beacon today would need to spend well over the maximum suggested 30% of income in order to buy a house here. Read the report linked in the post. It’s alarming. Beacon is setting itself up for inevitable failure. Building is happening far faster than the infrastructure can handle. Police, Fire, EMS, Highway & Water/Sewer Deptartments are understaffed and seem to be an afterthought. Some with poor facilities and not enough staffing. Businesses and restaurants are more geared for tourism than residents. For most essential needs people have to go to Fishkill or across the river greatly helping their retail establishments bottom line. This city, like the entire area is dealing with the “epidemic” of heroin use. I fear what will happen when meth makes its way in. Eventually it will and it has devastated so many places throughout the country already. Bottom line, long term sustainability is very unlikely. A few events can cause catastrophic results. 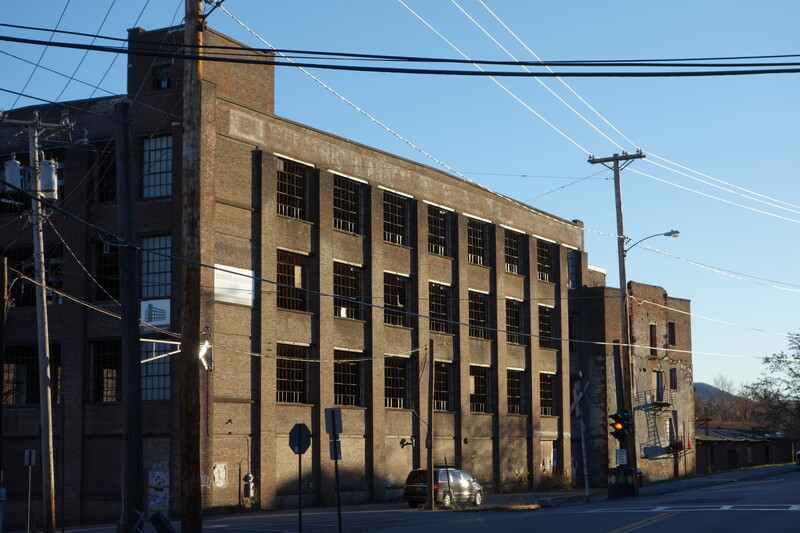 It is not unlikely that these buildings and factories will once again be boarded up! Thanks for your comment. I would say the main infrastructure issue at the moment is the burden on our transportation system–there are just too many cars. We don’t need to take a 2,000 pound vehicle into town to buy a few groceries. The heroin problem among children and teenagers could be looked at as another manifestation of the dashing of expectations in terms of limitless growth and better tomorrows. In my demographic, alcohol and prescription opioids lead the way. Good analysis. I agree with most points, especially that the sudden boom in building multi-unit rentals isn’t really a positive for Beacon right now. It will bring in some sweet tax revenue, which our thirsty elected officials apparently value over other all other considerations. Some plans defy all logic if sincerely looked at. Beacon really needs apartments on Main St, of all places, so desperately that we should OK 30+ units WITHOUT providing any parking for those units? Seriously? Because parking on Main St today is so easy? Watch a few city council and planning board meetings and you too will be reminded why we’re just not playing on the same intellectual level as the developers who are here hat in hand to get theirs first and foremost, long term impact to Beacon be damned. I prefer to think it’s a strategy problem, because I can’t bear the cynical reality that our elected officials are on the take. I have heard a lot about how horrible the last ‘urban renewal plan’ was for Beacon, and those complaints do seem fair. Now we’re careening forward at warp speed to BUILD TONS OF RENTAL UNITS RIGHT NOW!!1!11!!1!! without even considering a “plan” to save us from the negative impacts of giving away the store in a mad panic. If we had put our money into renovating the Fishkill spur line instead of adding hundreds of parking spaces at a cost of $20 million down at the waterfront, we could add 30 units without worrying about parking. The sad thing is that the city is trying to do the right thing, but there are fundamental issues that are simply not understood. We’ll touch on a few of the problems in Monday’s post. This gentrification has been going on for the past 10+ years now. I was born and raised in Beacon and left at the time market was going through a downturn (late 2006-early 2007) since then, I have been back a number of times, but when I do return, I am saddened to see that the blue collar quaintness of Beacon has been marred by the false bravado and money from NYC. Beacon seems to be nothing more then a hub for starving artists, and weekender yuppies. Anyone that was born there, lived there, and grew up there can easily see the bubble that is Beacon is going to pop. Maybe not today, maybe not tomorrow, but it is coming. Turning tenement buildings and factories that have been abandoned for 30-50 years into ‘High end lofts’ and ‘studios’ is nothing more then putting lipstick on a pig. Beacon will one day become a shadow of what it was once known for. The rich elitists have turned it into their playground. No care for environment, health, or the future of the children born and raised there. Go outside of Beacon, drive into Fishkill, Wappinger, or go to Newburgh… You tell me are those cities flourishing? Are they growing? No. They’re stuck where they were in 2006-2007. All things come full circle. Beacon’s honeymoon period will be over soon. Hello Matt, thanks for your thoughts. We’ll look at gentrification in the next post. But your comment is laden with stereotypes that actually hinder the non-one percent from coming together and trying to work within the solution space left to us. “Weekend yuppies,” “starving artists” “bearded hipsters,”–if you seriously believe these are the “rich elitists” who have turned Beacon into their “playground,” you are misunderstanding the economic dynamics of gentrification and what it really means. This divide and conquer is partly a result of the degradation of meaningful public dialog, but it also reflects stagnant wages, lost jobs, failing educational and medical institutions that affect quaint blue collar workers and bearded, hipster, starving artists equally. And the failing economy will not be confined to Beacon. And let’s also remember that the 1970s, 80s, & 90s were not exactly “quaint times” in Beacon. That scenario was simply the stage prior to “gentrification.” Please stay tuned. It seems to me that 1) the ZBA needs a closer look. Why are they approving stupid variances? and 2) we need to invite some specialist(s) in affordable housing regulations, rights, and realizations (aha! the three Rs)to lead a panel discussion on the question of how to preserve affordable housing in the midst of a housing bubble with attendant exorbitant rent increases and pressure on lower income home owners due to mortgage payment difficulties etc. Obviously I do not consider an economic crash or even downturn a happy solution, and I am sure Mark doesn’t either.